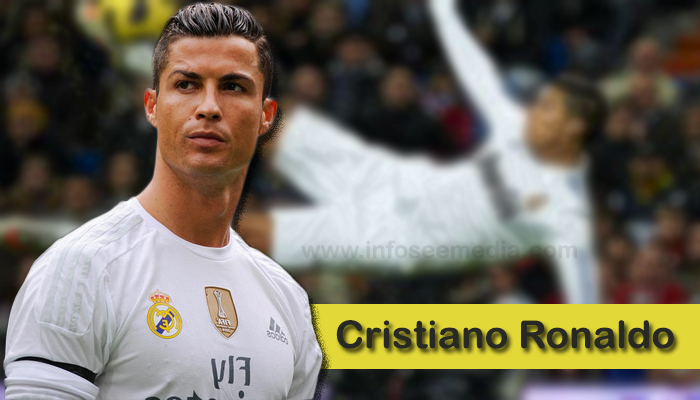 Cristiano Ronaldo dos Santos Aveiro was born on 5th February 1985 in Funchal Medeira, Portugal is a portuguese professional footballer. Who captains the portugal national team and plays as a forward for Italian club Juventus. One of the well known players of all time is Cristiano Ronaldo. He is a Portuguese professional player. Ronaldo became famous as a forward for Real Madrid after being acquired for Manchester united in 2009. He became captain of the Portuguese national team in 2008. Altogether he has won 26 trophies including five league titles. He is also famous for the most official goal scorer, for the club and country he has scored 670 senior career goals. A tall player at 6 feet 1 inch, Ronaldo was a formidable athlete on the pitch. Originally a right winger, he developed into a forward with a free-reined attacking style. He was able to mesmerize opponents with a sleight of foot that made sufficient space for openings in opposing defenses. After a successful season with sporting that brought the young player to the attention of Europe’s biggest footballs clubs. Ronaldo signed with English Powerhouse Manchester United in 2003. He was an instant sensation and soon came to be regarded as one of the best forwards in the game. After helping united to a Champions league title in may 2008, Ronaldo captured Federation Internationale de Football Association (FIFA) world player of the year honours for his stellar 2007-08 season. On his home soil, after moving through the youth and under 21 ranks, Ronaldo had made his first appearance for Portugal’s full national team against kazakhstan in August 2003. He was a key player in Portugal’s fourth place finish at the 2006 world cup and became the full time captain of the national team in 2008. In 2012 his stellar play led Portugal to the semi finals of the European championship, where his team was eliminated by rival spain. In 2016 he helped Portugal win the European championship, the country’s first major international tournament title, Ronaldo played brilliantly at the 2018 world cup, scoring four goals in four games. Ronaldo was one of the most well-known sports stars off the field , and numerous studies of athletes popularity showed that he was the most loved athlete in the world during his playing peak. He gained world wide media attention after a short video of him showing his impressive skills with the ball went viral on the internet in june 2017.